Relaxation is the primary mission of farm games. After a tiring day, with tons of stress on the head, people just want to relax with the light entertainment. That’s also the reason Wild West: New Frontier was born under the hands of the game makers of Social Quantum. 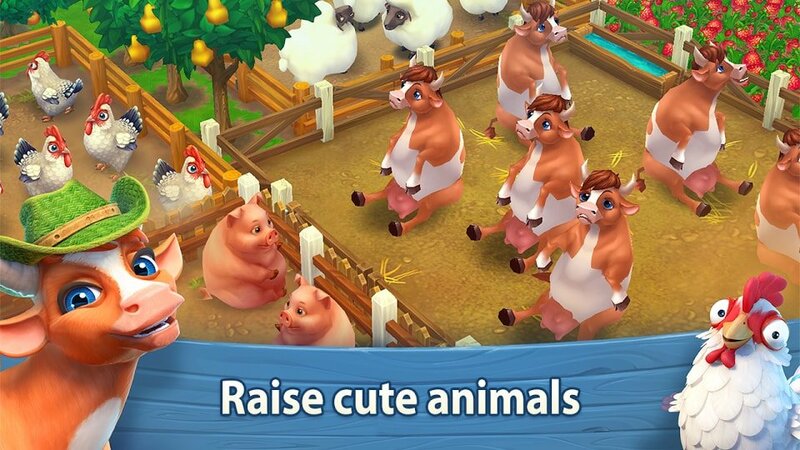 Simulate farms right on Android and iOS, are you ready to try? Wild West: New Frontier is a free farm game that will take you to the vast wild west where you can build your own farm into the vast space. 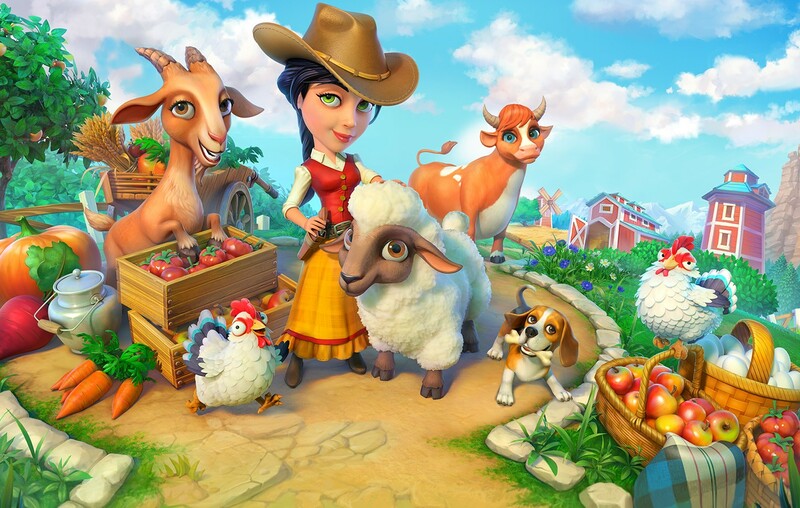 Wild West: New Frontier is something new and completely different from other farm games where you will own your own farm in just 10 minutes a day. 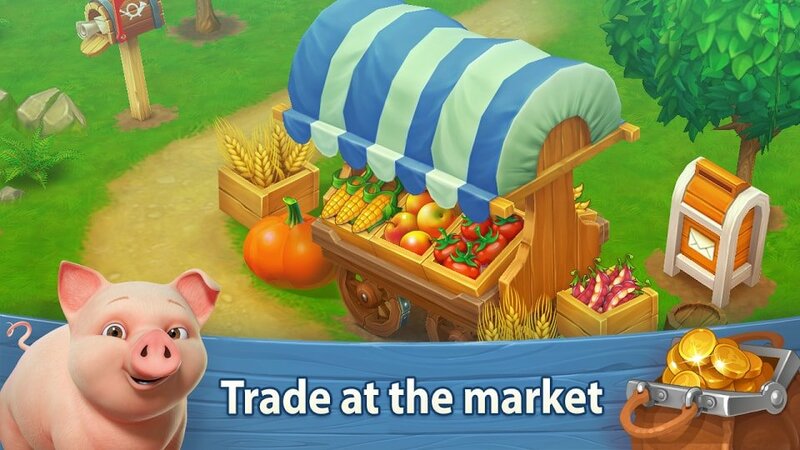 As with any farm game, as a farmer, you will have to cultivate different crops such as corn, barley, fruit, etc. to harvest valuable crops. Alongside the vast green fields are chicken coops, pigsties and cows, do not forget to feed them every day to get products like milk, eggs, and meat. With the harvested produce, you can make delicious food and dishes, and sell them to those who wish to use it for profit. There are many recipes, you will have to learn to cook the best. Make a lot of money to become a rich and famous farmer in the wild west. 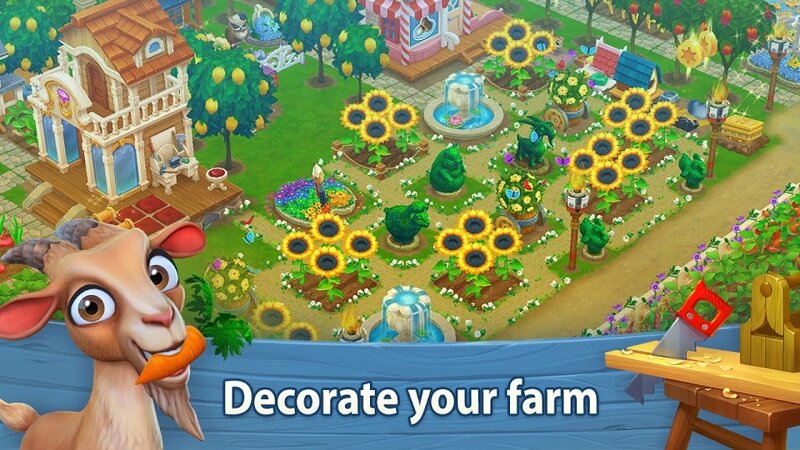 Another interesting part of Wild West: New Frontier is that you can decorate your farm with beautifully decorated items, helping your farm become a relaxing paradise for you. In addition to the gameplay, 3D graphics of the Wild West is also very unique and beautiful. You can look at your farm at any angle. Bright colors and fun details will make you happy. Comes with graphics is a vibrant and lively background soundtrack, suitable for relaxing moments after a day of tired. In short, Wild West: New Frontier is a simple, lightweight and easy-to-play game for those who love farm simulations on the phone. The game support for both Android and iOS platforms (including mod money), you can download the game via the link below. Wild West: New Frontier APK is ready to download! Depending on your needs, you can download Wild West: New Frontier MOD APK or Wild West: New Frontier Original APK. Or install from Google Play / App Store if you want. Hi, Do you think you can mod this game? This is an online game. I can’t at the moment.